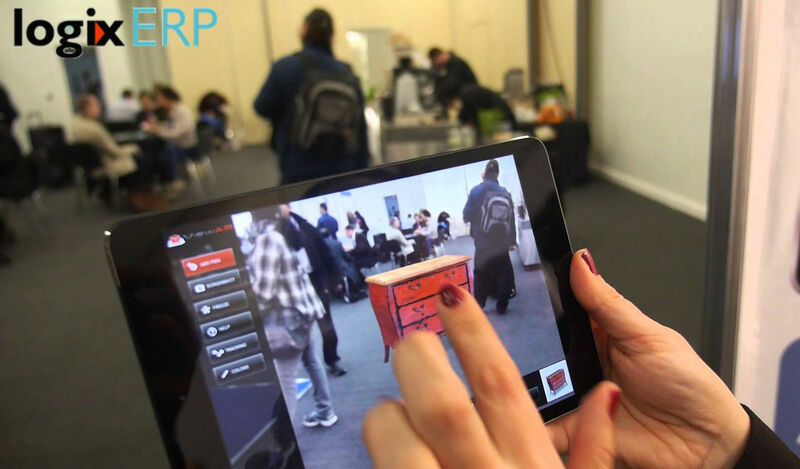 Flourishing in augmented economy – Starting from e-trading and new retail business trend like multiple e-commerce websites, mobile applications, chatting applications, social media, customers want all of these in order to add the traditional- in – person, mobile and shipping services. E.G: A customer if wants to buy a product using internet in the evening, picks it up at the branch office next morning and can return it to the retail outlet. 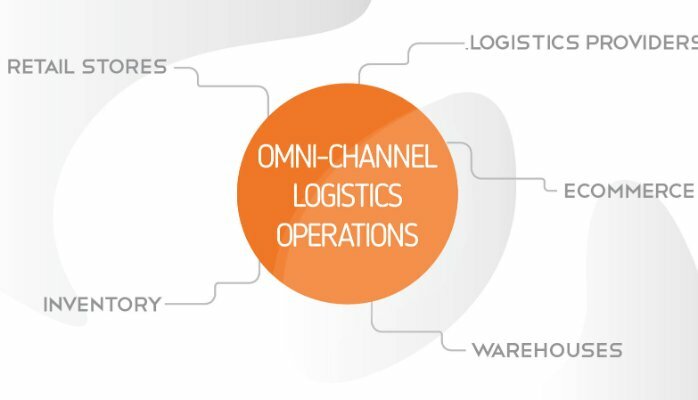 Distributors can introduce omni channel and van selling techniques, one that supports wide rage of supply channels and mobility devices to cater local areas and small enterprises. Logistics companies are always found to be un-organized and splintered slot of trading in the history of economy. Logistics industry require change in the services and operation like no other industries for which stability and growth of this industry become stagnant. New age logistics technology enables inter-city as well as intra city freight and cargo management for which logistics connection and network become stronger and wide. Logistics network now seem easy to operate and stand on the line to offer better customer experience. Technology is successful to streamline the entire segment. Despite of being in uncertain economic positions and having lower oil prices than before government policies and investment to develop infrastructure and grow other sources are highly expected to economic breakthrough in UAE. Logistics activities and GCC custom support together can lead to a good co-ordination and integrated regional logistics network across middle east Asia. Airports and other coastal area of UAE have become one of the most important logistics hub in the world. Western and Eastern globe region connect through UAE ports mostly and resulting Euro- Asia trade take place in a greater scale across the region. Indians must have thought once, in abroad domestic passenger air tickets are less costly, what would be the reason? Well Indian aviation policy 2016 also recognized that domestic and international air freight or air cargo and express logistics would be helpful to reduce or subsidize the passenger air fare. India set a benchmark in providing the lower cost services irrespective of any specific field still India has higher logistics cost due to various issues and challenges faced by the industry. India is involved in complex tax structure, the industry is also affected by poor rate of customs efficiency of clearance processes and procedures thus affecting the international export logistics stratum. however, insignificant comfort provided by the existing Indian infrastructure combined with lack of implementation of efficient IT-enabled tracking and tracing operation has saturated the efficiency of logistics and transportation. Omni literally means ‘all’ which would be told other way multiple. Multiple-channel logistics is highly related with the retailing. Its an experience of shopping focusing on customer’s comfort including analysis before purchase. Traditional distribution process and line-up which were built around consumers of earlier time, people who used to shop almost exclusively at store and shopping malls and for them online delivery in 3-4 days would have been expected but new age shopping experience is being changed. People who will shop more online especially on mobile-phone and expect same day delivery or click and collect within an hour. 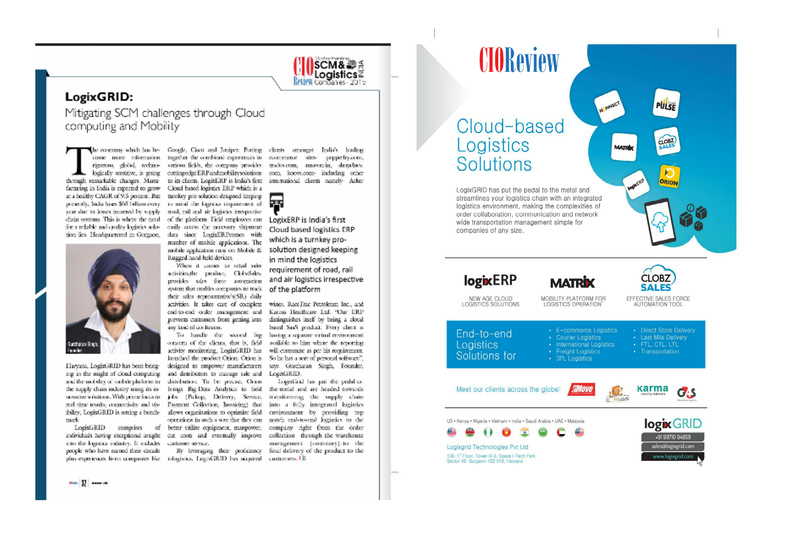 CIO- presented-June 2016 – focusing on Logistics & Transportation Technology. Logistics business is taking a leap in technology| What’s that? Logistics operations are finding way to get streamlined and drawing a path of giving advance service, mobility solutions which count on wireless devices has turned to be eventuated towards success in logistics business however all the mobile applications based on cloud at its best to provide the real time information. But many logistics companies who are still expecting a solution which can be affordable with advance technical facilities. The truth is logistics companies whether it’s a courier based or transportation or any cargo, for competition they fail to see the profit at initial stage of business which pulls down the interest towards business and they find traditional system left for them to retain their existing business. Logistics business is more of partnering rather than providing services alone to cater wide area and their business partners who either don’t communicate appropriately or incompatible to meet the demands results lose opportunities. Logistics process is typical yet can’t be ignored to have a concern of economic growth, if there is no logistics in the market business will get stuck. Essential elements towards country’s revenue generation will be stopped if transportation process cannot take place appropriately. Consumer goods and domestic trading cannot be a reason for provision of better life. Importing the goods and globalization should be inexpensive for people to access. Logistics is likely to become an emerging industry in Africa having huge remunerative opportunities for Supply chain service providers across substantial infrastructure problems in the countries. Kenya and Nigeria’s logistics market is inclining towards high growth for reasons like high local trading, expansion and diversification of international demands by domestic consumers. Logistics solution to be called green for the prospective approaches towards increasing energy efficiency, productivity, safety society in terms of transportation or distribution of goods with lesser operational cost. More precisely attention held on to the process optimization by implementing technology begin from packaging, inventory, transshipment, warehousing, delivery of goods. How many logistics service providers think about preparing an Eco-friendly environment of providing services that is undefined but they are yet to completely develop a proper green logistics work flow through which reduce cost of freight, fast delivery and client satisfaction would have maintained.